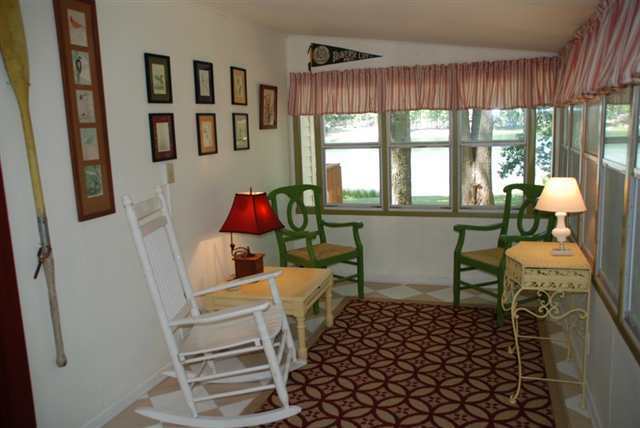 Enjoy a family vacation or quiet cozy getaway at Turtle Lake Cottage! 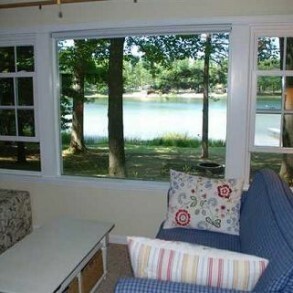 2 BR Cottage on Turtle Lake, sleeps 8 plus the ‘Shell’ – a hangout for the kids. you a full view of Turtle Lake. 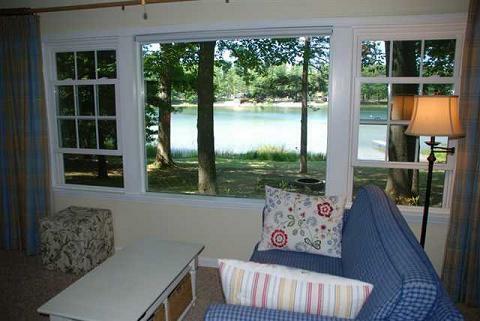 Or take your morning coffee on the deck or sitting by our private dock. Grill your steaks on the outdoor grill and complete your meal roasting marshmallows around the fire pit. 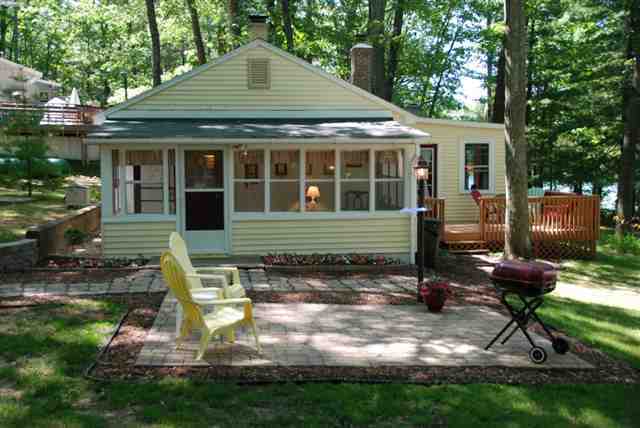 mature trees surrounding the property keep the house cool and well-shaded. 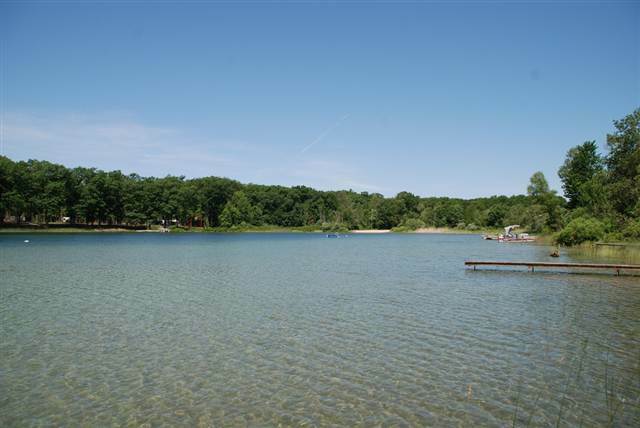 Area attractions and events include the Sleeping Bear Sand Dunes and National Park, Traverse City Cherry Festival, Lake Michigan, Crystal River canoeing and kayaking, Platte River canoeing and kayaking, Leelanau and Old Mission Pennisula Wine Country, lots of area golf courses, and wonderful dining options. This area offeres something for everyone. 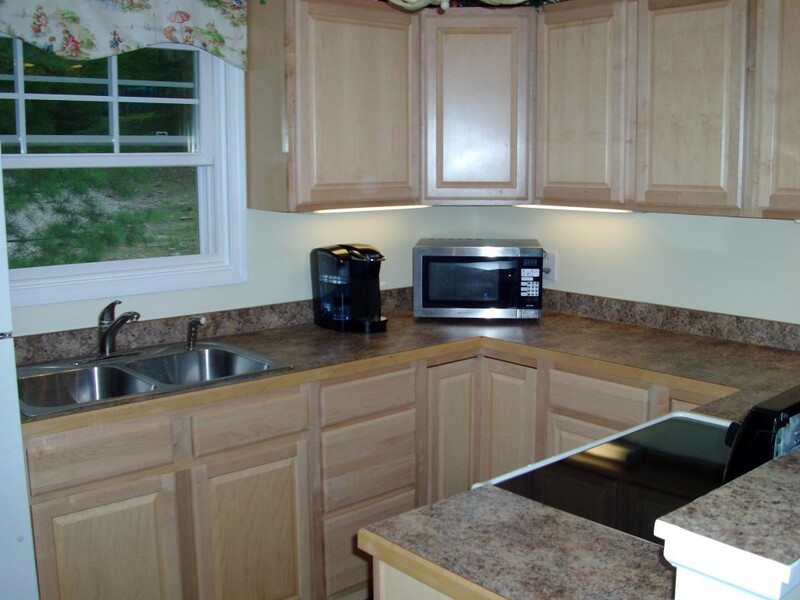 ClickHere for more area activities to enjoy while on your vacation. 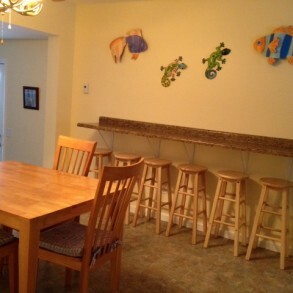 Dining Area – The dining table seats 4-6 and is located near the eating bar which has room for up to 6 people. 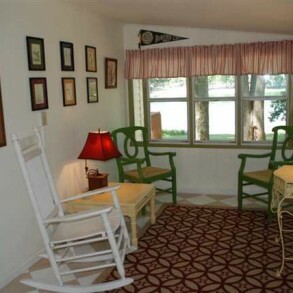 Air Conditioning – Window unit in the living room. 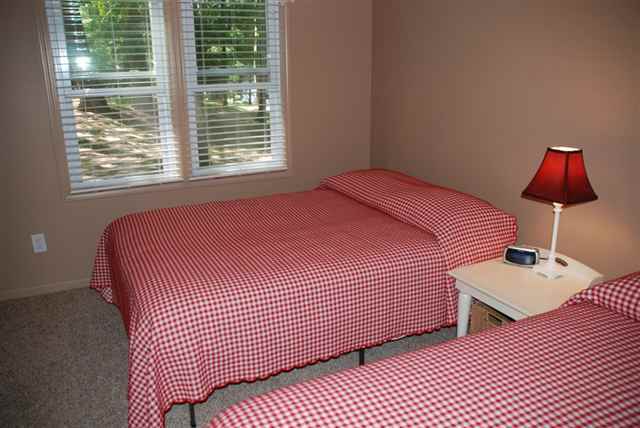 Linens – All bed linens are provided. 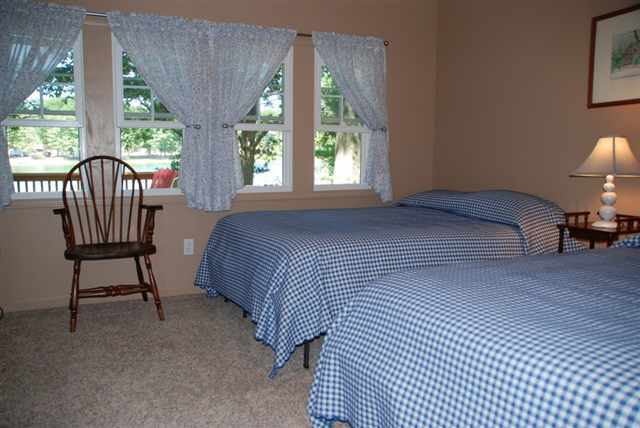 Towels – All bath and kitchen towels are provided, guests need to provide beach towels. 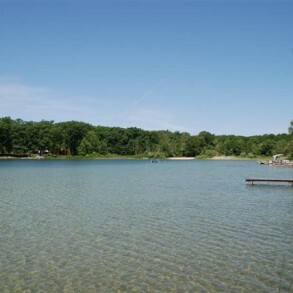 Parking – There is ample off-street parking that will accommodate vehicles, RV’s, trailers, and boats. Garage – The ‘Shell’ kid hangout is part of the garage on the 1st and 2nd floors. The car parking area of the garage is not available for use by guests. Deck – Deck and patio, 8 adirondak chairs. 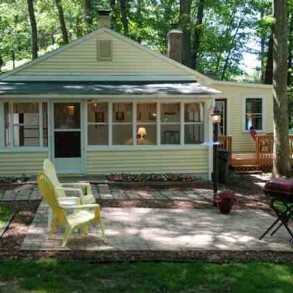 Lawn – Loveseat log swing, firepit, dock, large wooded lot. Boat – 1 rowboat, guests need to provide life jackets. Kayak – 2 kayaks, 1 canoe, guests need to provide life jackets. 6% MI Tax. $30 Cleaning Fee. $300 Refundable Security Deposit. 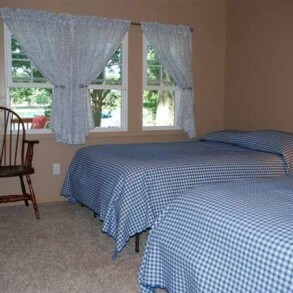 Spring/Early Summer – May through Mid June – $800-$1000/week. Call for rates! 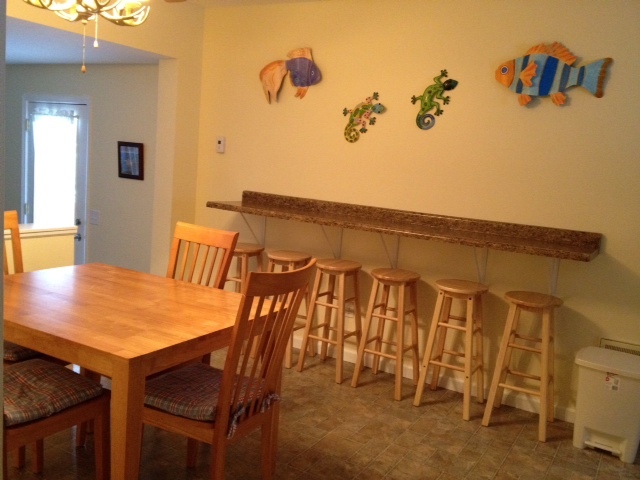 Late Summer/Fall – Mid August through October – $800-$1000/week. Call for rates!